Your day-by-day itinerary now includes Ancient Agora of Athens as well as National Archaeological Museum. 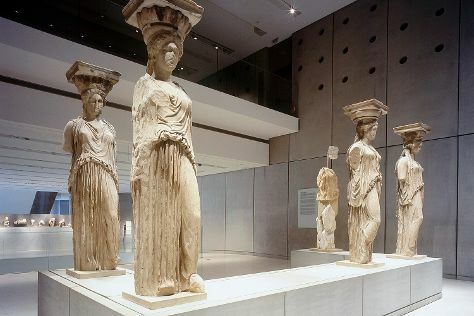 Kick off your visit on the 24th (Sat): examine the collection at Acropolis Museum, make a trip to Acropolis of Athens, and then take a stroll through Plaka District. Get ready for a full day of sightseeing on the 25th (Sun): explore the world behind art at National Archaeological Museum, then don't miss a visit to Ancient Agora of Athens, and then get a taste of the local shopping with Monastiraki. To find where to stay, more things to do, photos, and other tourist information, read Athens holiday planner. Expect a daytime high around 18°C in February, and nighttime lows around 9°C. Finish up your sightseeing early on the 25th (Sun) so you can travel back home.